Some houses have dual focal points. 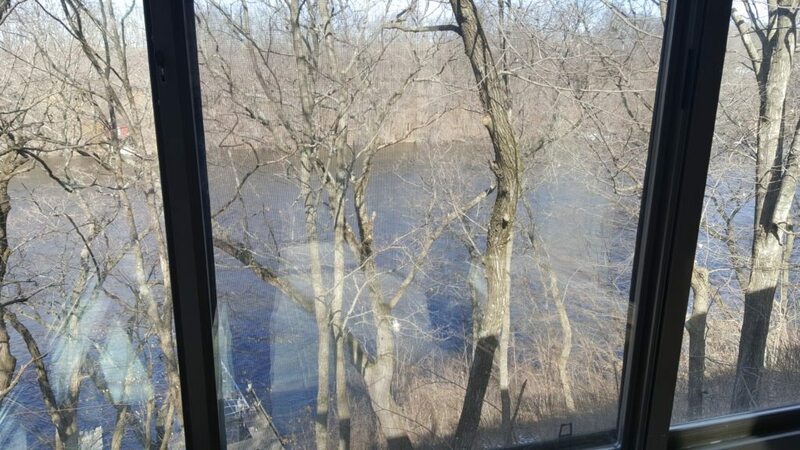 In the case here, the house sits on top of a bluff overlooking a river. 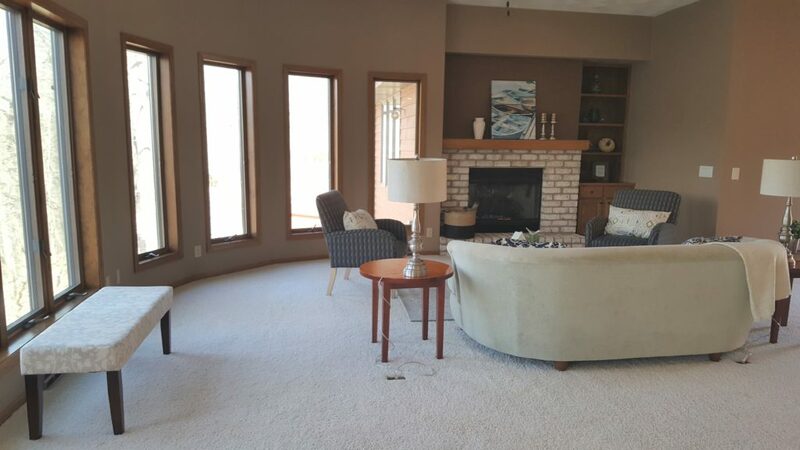 But there is also a fireplace. 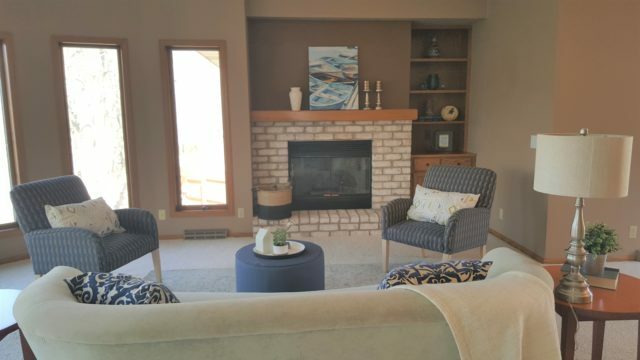 So how does one orient the furniture–toward the river or the fireplace? Premiere Home Stagers did not ignore either focal point. The furniture chosen was lower in height to see the river view, but the orientation was toward the fireplace. 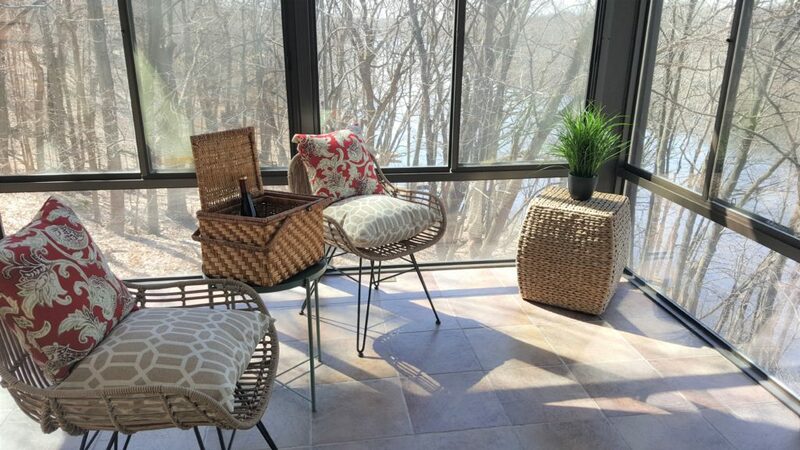 The open concept layout allows for views of the river from all rooms, including the bedrooms. 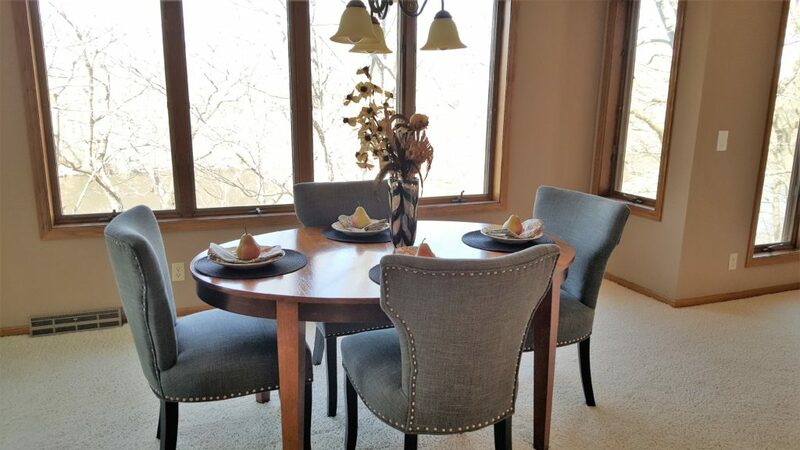 I know I could linger for long periods sitting at the dining table watching the river flow downstream. Since you sit near the tree tops, birds and squirrels are at eye level. I positioned a bench near the window not only to fill this space, but to imagine one sitting here and embracing nature. This would be my favorite spot 3 seasons of the year. There is both heat and air conditioning and the glass windows slide to expose the screens. 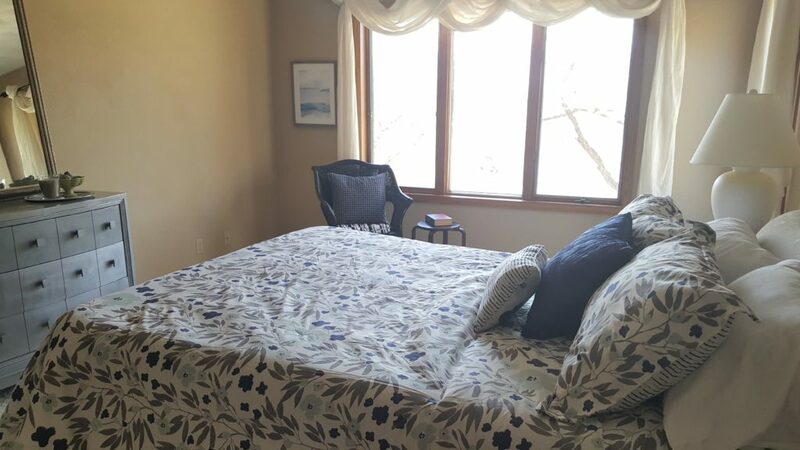 Because the master bedroom and bath are on the main floor, there is also a beautiful view of the river. The chair next to the window allows for a peaceful place to read. The adjoining master is the perfect place to unwind in the spa tub. This property sits on a double lot, ensuring no one will build right next door. It is just out of town, close enough to a small city for convenience items and a larger city for more specialized shopping and dining. There is no reason to invest in a lake cabin when your main home can serve as both a week-end vacation spot and week-day living all in one. 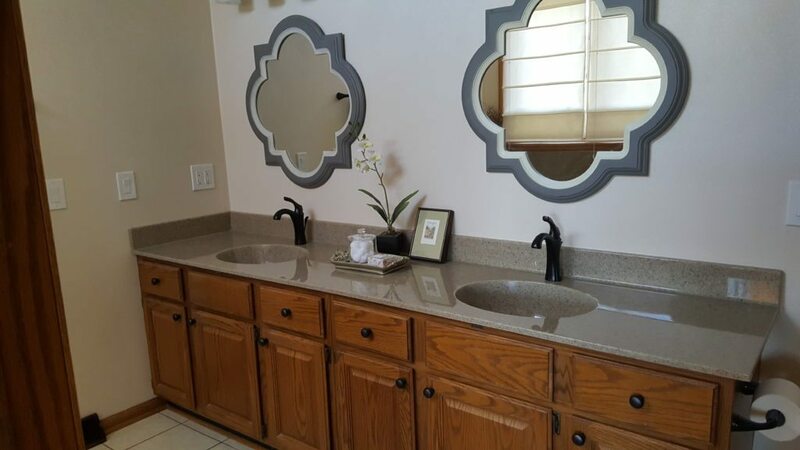 Premiere Home Stagers was delighted to stage this gorgeous property. It’s doubtful it will stay on the market for long. 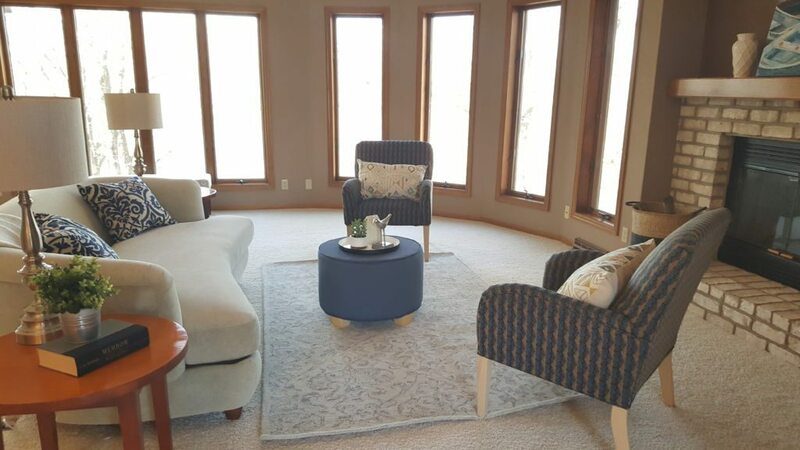 Call Premiere Home Stagers at 608-345-9396 for your next staging.